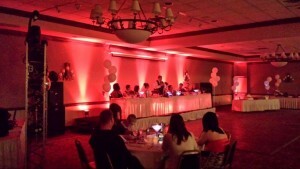 Uplighting is a decorative effect that will change the look of any room. 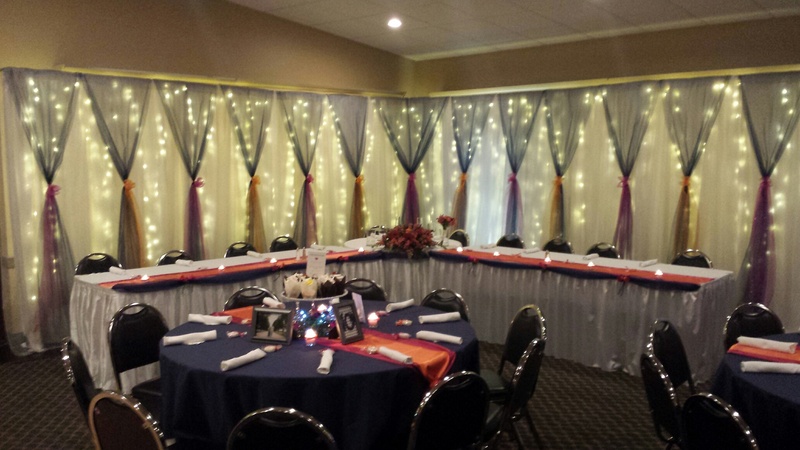 At your wedding reception we will create a beautiful atmosphere that will be a memorable one. 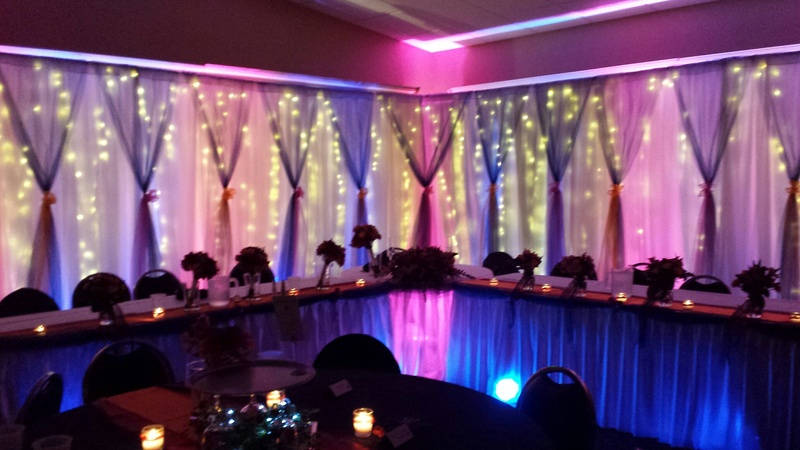 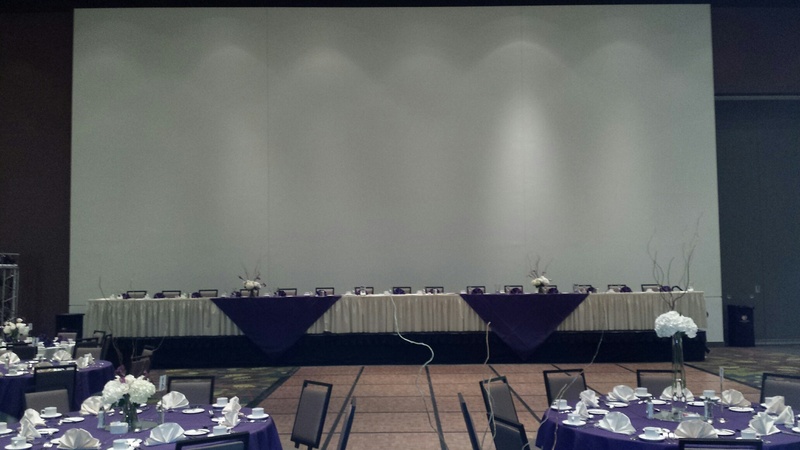 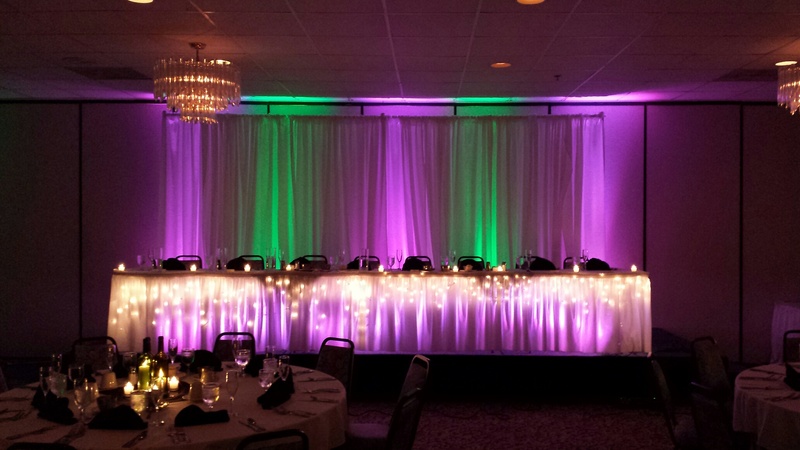 Featuring the colors of your choice, we transform the look of the entire room by putting a big emphasis on the head table and arranging other lights throughout the room. 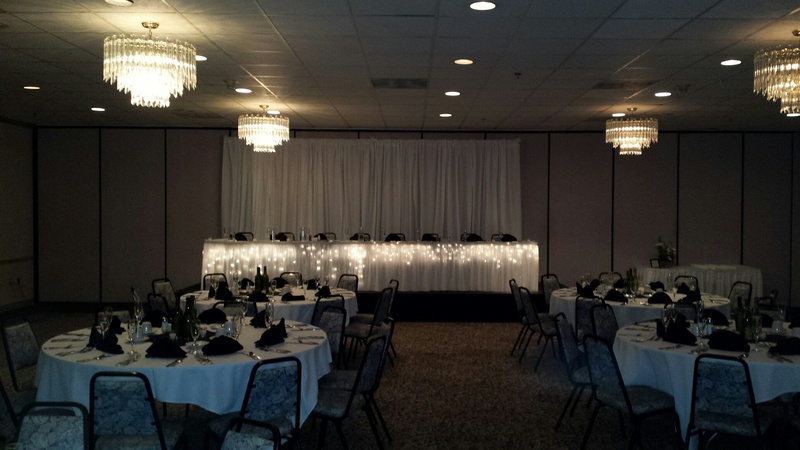 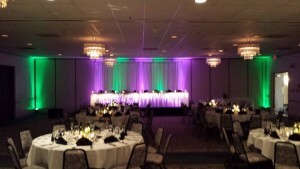 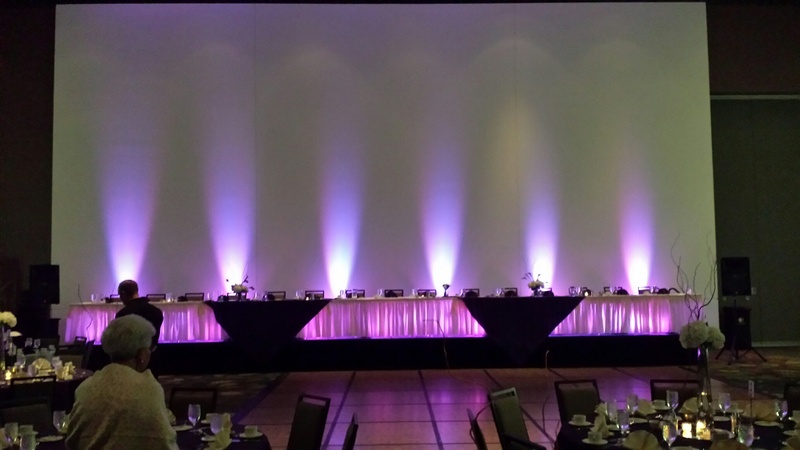 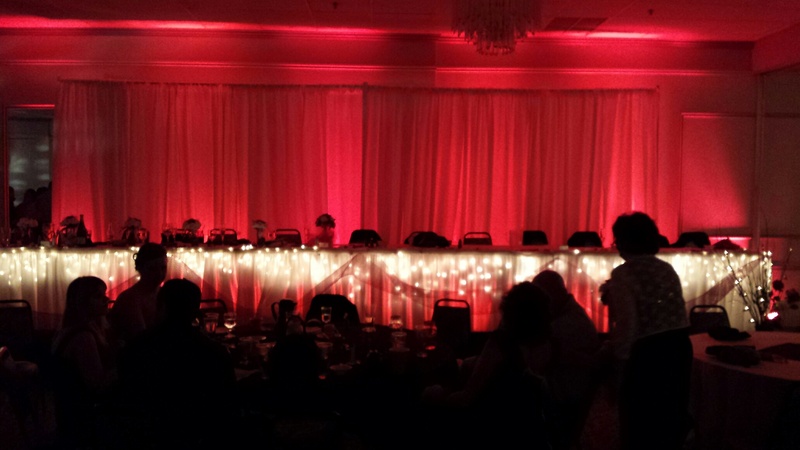 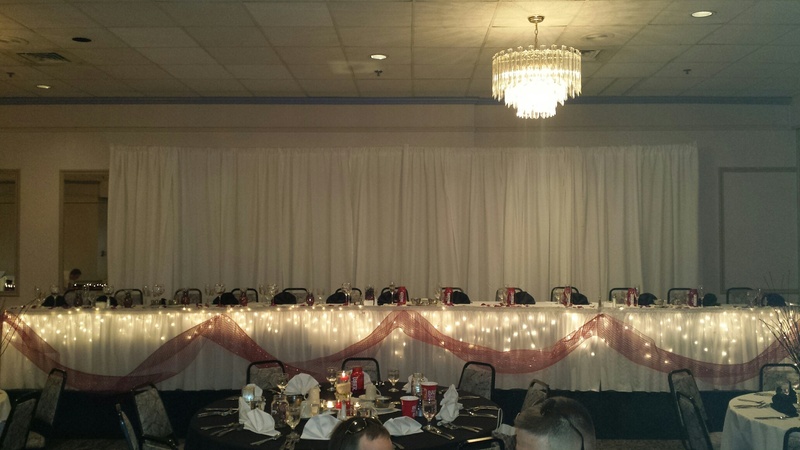 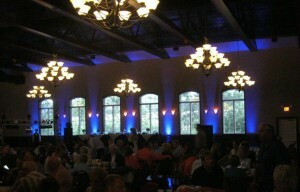 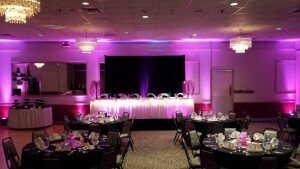 Uplighting can be added to any of our packages. 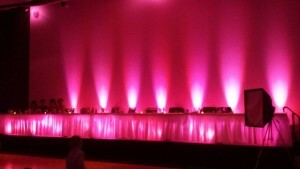 We have very reasonable prices, some places charge as much as $600 for 30 lights.